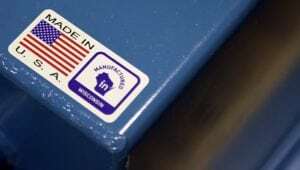 When we say a product is made in Wisconsin, that’s saying more than just where it was produced—it speaks to the attributes of the product itself. 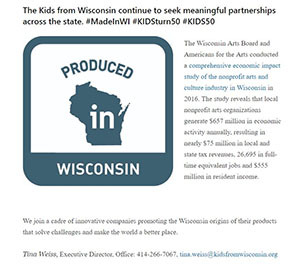 Join the hundred of companies who are already participating in the Made In Wisconsin program by filling out an application. ATD specializes in automatic and manual transmission repair & service, transfer case/four wheel drive repair, differentials/rear ends and other drivetrain service. We also specialize in custom service for classic, collector and custom cars. If you can dream it, we can do it! 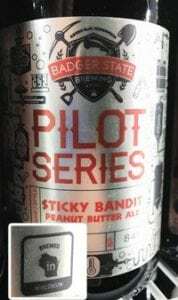 Badger State Brewing is a craft brewery located in Green Bay near Lambeau Field. It specializes in the production of a variety of ales and lagers. 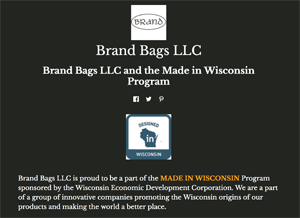 Brand Bags LLC is dedicated to utilizing and optimizing by-product leather into gender neutral bags, totes and clutches that are classically styled and stitched. Brand Bags are distinctive in the details, are designed to accommodate your everyday lifestyle, and reflect your unique life story. Carl Buddig & Co. has been feeding family traditions for more than 70 years with the very best in taste, variety and convenience. Carl Buddig & Co. is the family-owned parent of Buddig lunchmeat and Old Wisconsin hardwood smoked sausage and snack products. Buddig offers an assortment of quality, thin-sliced lean meats for sandwiches, snacks and special recipes including Buddig Original, Premium Deli, Deli Cuts and Fix Quix products. Old Wisconsin sausage and meat snack products are handcrafted and smoked over real hardwood fires. 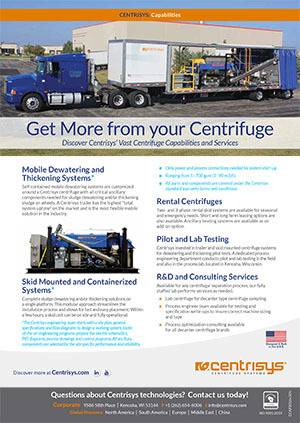 Centrisys is a U.S. manufacturer that engineers, designs and builds dewatering and thickening centrifuges, as well as complete dewatering systems for municipal and industrial wastewater. 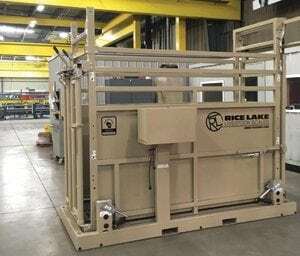 Products include the award winning THK Series Thickening Centrifuge, 2- and 3-phase technologies and custom design solutions that utilizes over 90 Wisconsin suppliers. Centrisys provides global service, repair and parts for all manufacturers’ centrifuge equipment. Chowventions Inc is owned and operated by a female wounded warrior. This is a specialty food “invention” company that creates hand-crafted food products for people who are looking for something fun, unique, flavorful, locally produced and suitable for a variety of dietary needs. 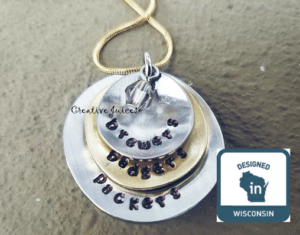 Creative Juices has more than 40 local, Wisconsin-based artists and fine handmade designers with a unique collection of one-of-a-kind creations and locally handmade items. Paintings, pottery, Wisconsin photography, handmade jewelry, all natural soaps, lotions, body sprays and soy candles. These are just some of the jiggles and there is so much more. 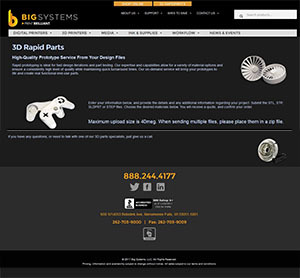 DACO Precision-Tool designs and builds all types of tooling including stamping dies, plastic injections molds and die cast molds. 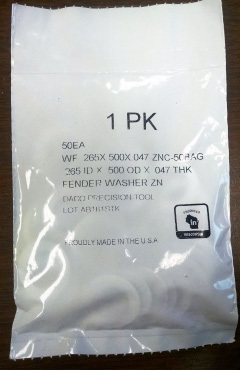 Products include production stamping’s, secondary operations, CNC machining, light assemblies, and special packaging. EBRACKET.com and the EBRACKET apps are tools that give fans or admins the ability to view or update tournament matchup schedules, locations, and results in real-time. Grandma Elsie always had a pie on the table – and as Kelly was growing up, she was always helping her grandma with the gardening and canning. 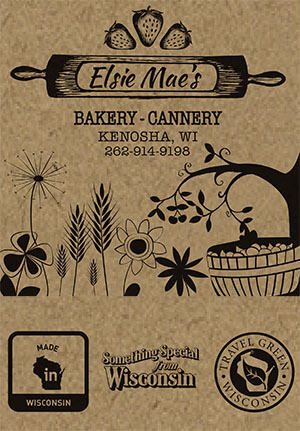 Kelly is using family recipes, local ingredients, and traditional style baking at the shop she named after her granny: Elsie Mae’s Canning & Pies. Gear Grove specializes in unique, handmade custom furniture using mostly reclaimed and repurposed wood. 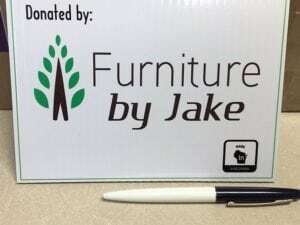 Its materials are locally sourced from everything from demolished buildings to shipping containers. Each of its products comes with a story and is created in-house by talented craftsmen. Golden Calf Company’s mission is to provide dairy producers with innovative products for calf care. Healthy calves are the future of a profitable dairy and its goal is to supply dairy farms the right tools to achieve a consistently healthy calf population. 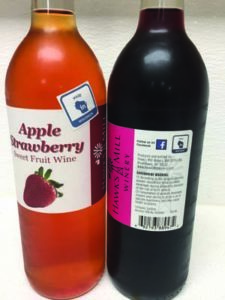 We offer a variety of wines, including local cold-climate reds, semi-sweet whites, and several fruit wines. Our menu ranges from dry to sweet, so we should have something for everyone’s tastes. 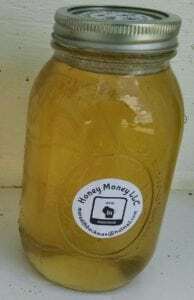 Local, small scale beekeeper, offering delicious wildflower honey and beeswax candles for sale. 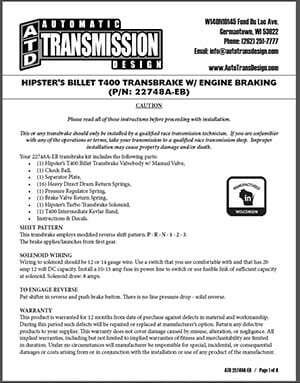 Located in rural Mazomanie, Wisconsin, Northwest Dane County. Hydro-Thermal develops and manufactures 3-way heating valves for steam processing/manufacturing. Hydro-Thermal has global application experience in industries that heat water and all process fluids, such as pulp slurry or tomato paste. 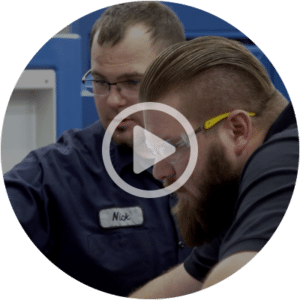 Through our home office in Waukesha and our vast channel partner organization throughout the world, we are present in six continents and all industrialized areas. Our direct steam technology is present in facilities in over 50 countries around the world. 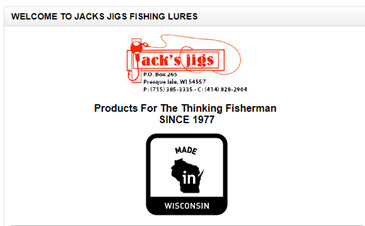 Jack’s Jigs was started in 1977 by Jack Remus, a licensed charter captain, who fished the lakes around Milwaukee and Waukesha County. He worked together with guide and TV host Joe Bucher designing jigs. Mike Donahue and Mark Lenda purchased the business name and in-house production of the product line, which includes Jack’s Weedless Jig Series. Show troupe consisting of 22 singer/dancers and a 13-piece show band, performs inspiring, entertaining musical productions to over 120,000 people each summer. Also providing “Realize Your Dream” workshops to youth in the cities they perform. Kloes Custom Woodwork is a custom furniture maker using high-figured hardwoods like curly maple, Birdseye maple, flame birch and curly cherry. 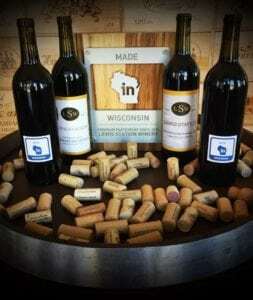 Lewis Station Winery is a small-batch, hand-crafted winery in the heart of downtown Lake Mills, Wisconsin. It produces and bottles over 18 different award-winning wine varieties. It also haves a farm-to-table bistro featuring all local produce from family farms and local Wisconsin cheese. LPPEnergy engineers, designs and manufactures high-output commercial lighting LED fixtures and light poles. LPPEnergy has a team of experienced sales & application engineers that will assist with your lighting designs and help select the right products to meet your unique application requirements. 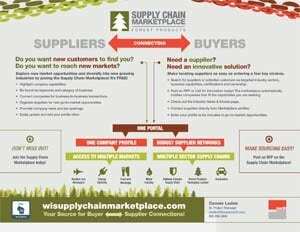 Logistically, Inc. was created on the vision to elevate organizational logistics functions by providing technology that is simple, analysis that is interesting, and knowledge that is useful. 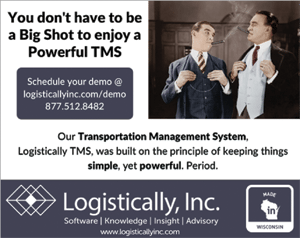 In today’s world of complexity, we developed cloud-based transportation management software (SaaS) that integrates multimodal shipping activities to include LTL, truckload, intermodal and parcel. 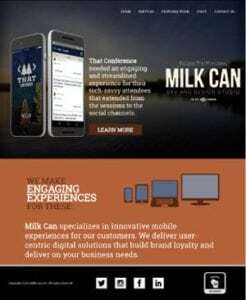 Milk Can LLC is a mobile solutions development and design studio that has been building mobile and web solutions since 2002. 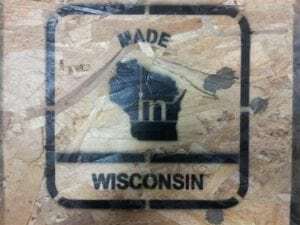 Eighteen-county regional economic development organization has a Wisconsin Supply Chain Marketplace website that features the companies that are making products and services in Wisconsin. Power Test, Inc. is an industry leader in the design, manufacture, and sale of dynamometers, heavy equipment testing systems, and related data acquisition and control systems. For nearly 40 years, Power Test has provided specialized test equipment to rebuild facilities and for manufacturers and distributors in mining, oil and gas, power generation, marine, trucking, construction, rail and military markets in over 80 countries on six continents. 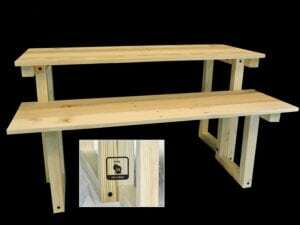 Established in 1997, Production Grinding and Machining is a steel welding and fabrication shop that creates custom benches, signs, memorial, lawn and garden pieces for schools and parks. Queen B is an oil company specializing in Cranberry Seed Oil. We handle everything from berry to seed to oil. 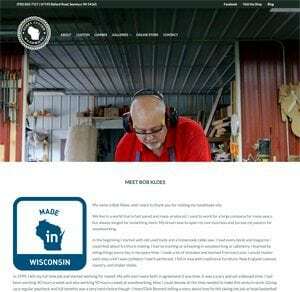 Real Wisconsin Website Design came about as a natural extension of the many requests received from non-profit groups as well as our many friends who run small businesses located here in Wisconsin and a need for them to have an effective social media website. Rebel Green manufactures a full line of natural household cleaning products. 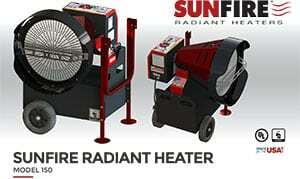 Rock Energy Systems, LLC holds two leading brands of space heating products that include waste oil furnaces, waste oil boilers, used oil recycling centers and portable radiant space heaters. Our products generate space heat that is fueled by motor oils and petroleum based fluids commonly used in all types of internal combustion engines. 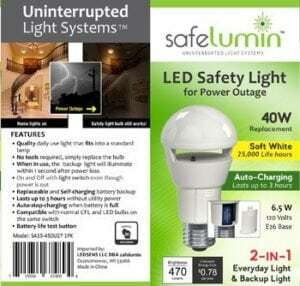 SAFELUMIN daily use bulbs provide instant, safe backup lighting during an electrical power outage at an affordable price, using cutting edge technology for safety and security. SAFELUMIN is a tradename owned by LEDSENS LLC. 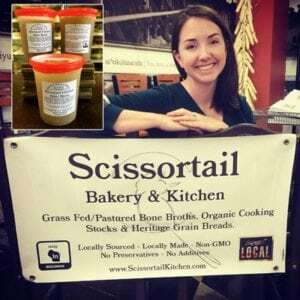 The Scissortail Bakery & Kitchen is a small, farm fresh food wholesaler. Products range from grass fed pastured animal bone broths and stocks to heritage grain breads. Sergeant Laboratories produces two products used in security and asset monitoring. 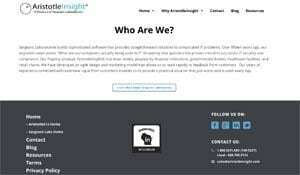 AristotleInsight, is a big data security analytics platform. It is used to detect APT, vulnerabilities, as well as security risk profiles. AristotleK12 is used to track Student Acceptable use and asset inventories for K12. AristotleK12 works with all modern technologies including Chromebooks, Mac, laptops, servers, printers and desktops. 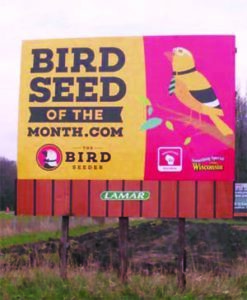 The Bird Seeder offers Bird Seed of the Month and Suet of the Month at BirdSeedoftheMonth.com. 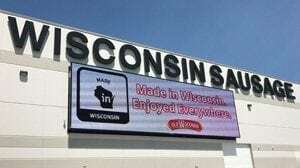 It produces high quality, no filler bird seed blends packaged in Wisconsin. 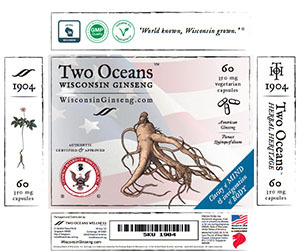 Two Oceans Wellness is an importer and distributor of Wisconsin Ginseng certified by the Ginseng Board of Wisconsin. 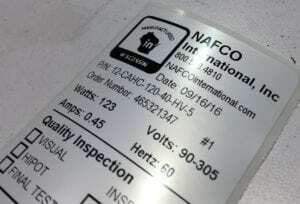 It is headquartered in Singapore, with an office in Wisconsin. Products include packaged USDA graded ginseng roots, sorted roots, sliced roots, and Wisconsin ginseng powder capsules. 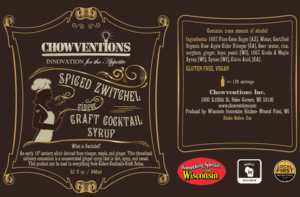 Inspired by the historic supper clubs and taverns of our great state. 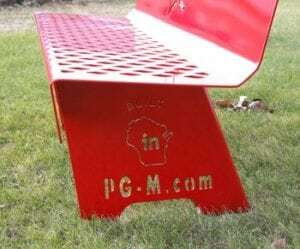 Perfected on the porches and patios of the Badger faithful. 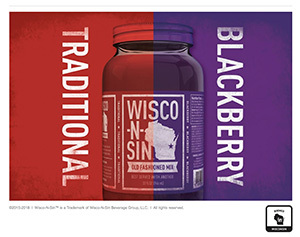 Wisco-N-Sin™ is a classic old fashioned mix! 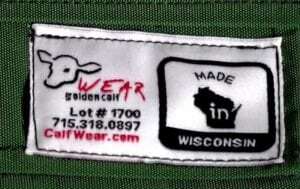 Made in Rhinelander; distributed by General Beverage of Oshkosh. The Wisconsin Institute for Sustainable Technology (WIST) provides research, laboratory services and education for business and industry. Laboratory services include paper testing, paper grade development, pulping and bleaching studies, coating and lamination piloting, specialty paper and related services that support the paper and packaging industries. WIST research includes biofuels, renewably sourced chemicals from biomass, and value-added uses of agricultural and forestry residuals from processing. WIST educational offerings include papermaking courses, topics in sustainability, and its annual Focal Point conference. 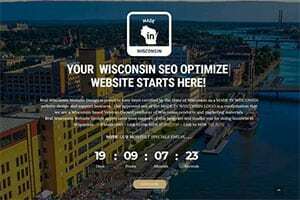 wisconsin.com is your gateway to Wisconsin! We offer Wisconsin travel, history and information for both the Wisconsin visitor and Wisconsin citizen. Information on travel, where to eat, Wisconsin fish fries, supper clubs, breweries, wineries and more. We offer free Wisconsin business listings in our Wisconsin Business Directory with options to improve visibility. Receive up-to-date information regarding Wisconsin’s economic development, export data, investment activity and more.